After a week in amazing San Antonio Texas presenting and attending TMEA I came back ready to get through our last week before February break. I tried a few new things this wonderfully hectic week which included learning composition and performance of rhythms and melodies. I focused on 2nd and 3rd grade for the following below with each ending off with an ‘A ha!’ moment for my amazing kiddos! Our precursor to this is learning the rules of what makes a good melody. We review them and write them on the board. We choose a starting note and I then go around the circle giving the students the option of going “up or down” to the next line or space. We use only quarter notes and always start and stop on the same note. We listen to it and using whiteboard markers we label the letter of the notes together. We clap to the beat and say each letter name. Our last step is to practice each measure on the xylophones and put it all together. The students were so proud to play their own work! If it sounds great and the students are focused I would head to the recording device you have and get it recorded! The teachers love to hear what their students are working on! This was another activity as my students explored what percussion is all about. Together I asked students what they thought a slow steady beat would look like on the red line. We ended up filling every other space until it filled the screen. Next we practiced the beat using our voices with the word “Boom” acting like a bass drum and practiced saying “Boom” together as a class. 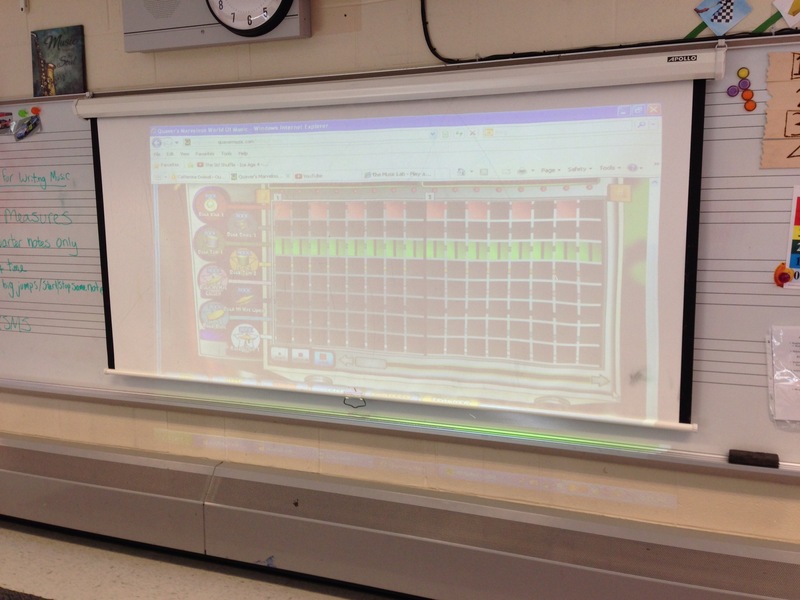 Next we added a green beat and I did this on my own as students watched because we are still working on eighth notes. I created the eighth beats in QBackbeat by clicking each box twice. The students wanted to say this beat as slow “Ticka Ticka” so we practiced saying this all together. Next we divided the class in half, half said the red line beat and half said the green line beat before we switched parts. Passing out the rhythm sticks I had them all sit in a horseshoe shape around the rug and we practiced each line saying and playing as one of my students pointed on the board. Then we divided up the class again and each played the red and green lines together and after switched parts. 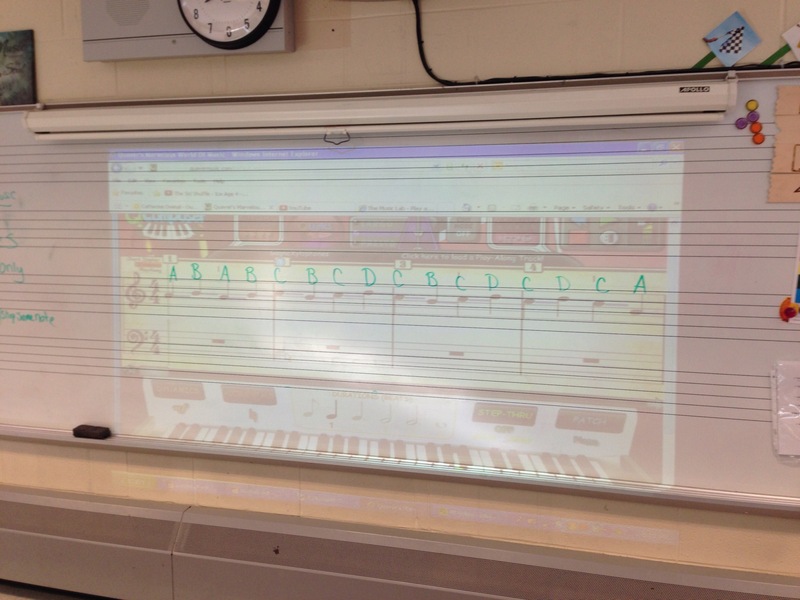 I began playing the two lines at once as the class listened intently. After a minute one of my ‘chair drummers’ shouted out, “Hey! That’s a rock beat on the drum set!” I nodded my head with a grin and mouthed ‘try it’. They were so pumped I listened to the sweet sound of floor drumming for a good 10 minutes. All they needed was QBackbeat as a visual! These lessons were used both this week to great success and grabbed student’s attention right before break! Traveling back home so early is hard, you don’t want to leave the excitement and the fun behind but know there’s a life waiting for you to come back to. As I leave Texas I carry with me a refreshed mind, a boost of self esteem and a bucketload of new resources and theories to think about and try. It’s been one of the best conferences I’ve been too, I felt like one of the cool kids hanging out with the TI:ME big wigs and hearing those who gave me shoutouts in their sessions as well as getting positive feedback on the sessions I did solo and with Amy. I felt like I’ve connected with long lost friends meeting some longtime Twitter friends, and it was great to see the Quaver crew face to face again, if you haven’t checked out their booth be sure to do so in the East exhibit hall before 2pm today! Off to catch the last flight home. Safe Travels home everyone. 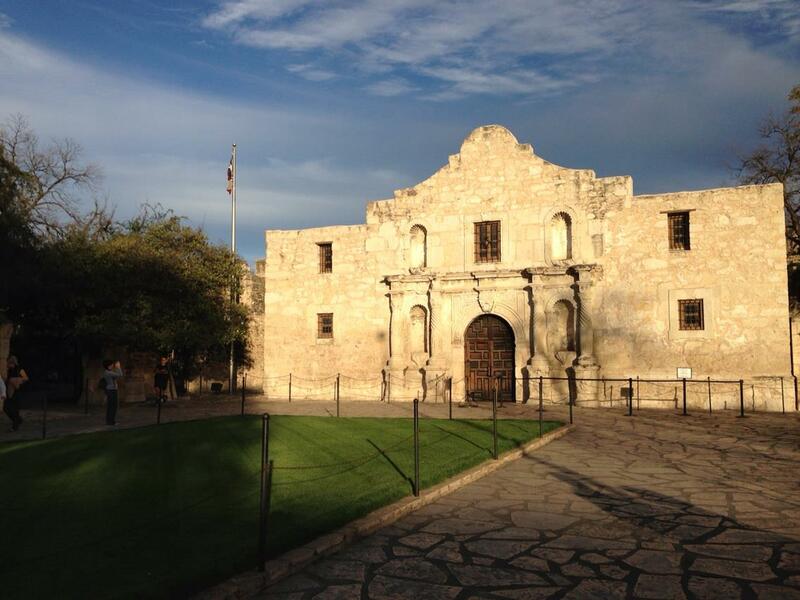 TI:ME/TMEA Day 2, Tweets, Resources, and a Moral of the Story! Oh My! Musicfirst.com- If you have not check these guys out yet, it is a must before the conference is over. They are in the east exhibitor area! Jim Frankel is amazing for putting this together. Right off the bat I was amazed and could totally tell it was a tool I’ll be looking into for the future. Dave Sebald- Our keynote speaker for TI:ME this year. He was funny and great to listen to! 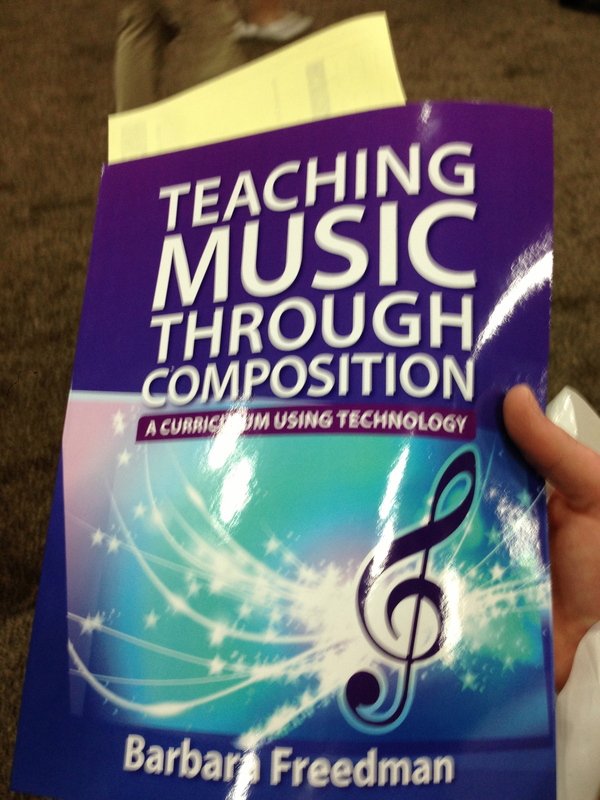 Teaching Music Through Composition- Barb Freedman’s new book put out by Oxford Press. She’s signing autographs tomorrow 2-3 at their booth in the east exhibit hall. I bought my copy! Music in Motion- I LOVE their booth, so many pretty colors and I walked out with some cute new puppet friends! musicplay.ca- Denise Gagne’s website, I’m trying to add more to my classroom music repetoire and this site is perfect! They say a conference is about attending sessions, its about sitting in a big room listening to a speaker talk about all they know about the subject. One could never imagine you could learn more from *gasp* sitting with someone and having a conversation! In the end it’s all about the connections you make at a conference because, you might walk out of a session learning only one new thing but a one on one conversation with someone you look up to and have the utmost respect for can give you a whole new perspective on the theory behind what we do and how we do it. It all starts off with breaking that robotic tendency to go to session after session, go to the important ones and not just because they are there. Start spending time in the exhibit hall researching new resources and taking time with the exhibitors. Sometimes, you have to get through the spiel before you get excited about a product sometimes. The other great way to spend your time while taking a breath in between sessions is just to sit down with somebody you look up to and respect and have a conversation. I think I learned more about the essence of creativity by talking about it then I ever would have listening to a clinician. I know I’m at that point where resources and meaningful conversations are top of the ladder for me. Day 2, another day of fun and learning in the books. It’s been really fun finally meeting some online friends I had never met in person! It’s such a different vibe this year for me too. Last year I was the quiet one sitting in the corner tweeting and just wishing I could shake hands with Barb or Amy or Richard or Joe and now I’m hanging out with them? woah this is cool! Last day tomorrow, time to make it awesome! Usually when I attend a conference I’m sitting in every session known to man kind. Just hoping to pull all the information I can from every presenter I know. 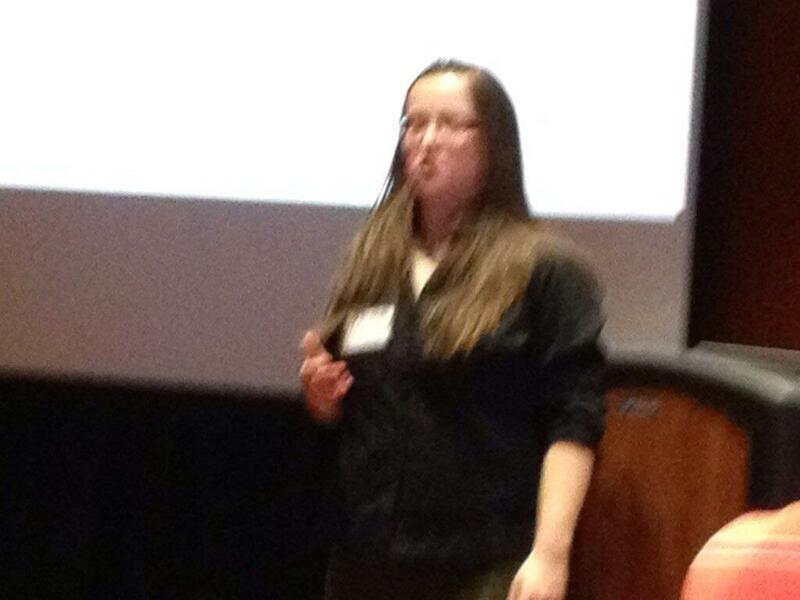 Today was a complete 180, I was on the presenting side..I was the one letting others in on what I know. I don’t know if it’s the way I grew up or what but I’ve always had the principal to “respect my elders” now, this covered from those who were just a year ahead of me to those who were 50 or more years ahead. I’ve always looked to those who have had more experience than I and have always put them first and have always thought “they know more about everything I already know”. I know what you’re thinking “Catie, shut up” but it’s honestly what I have sunk into my head. It’s a notion that I might have to get surgically removed because, it’s not based on how long you’ve been around, it’s WHAT YOU KNOW. If you have the experience and you have the knowledge, you are supposed to go for it. I’ve been teaching 3 years, just 3 and have several years experience in computer support and I now can say I’ve been a clinician, and I’ve had the privilege to present and hang out with some of the top music educators in this business. It’s a blessing and I feel so amazing to get to know them and learn from them. It’s really so cool to have your work and your thoughts recognized too. Today has been all about making new face to face connections with online friends, reconnecting with friends from last year’s conference, and trying to give good information on what I do to great people! What’s up for tomorrow? FUN and MORE LEARNING! Yup, I’m trying to be silly and frankly my brain is not on right now due to our wonderful Noreaster Day that Nemo brought on New England. I decided to make a coloring book using this spiffy feature on my new awesome Epson Artisan Printer I received for Christmas. This is for those of us that will be spending most of the day in the airports early next week. I know I’ll be bringing mine with me as I travel most of the day on Tuesday! 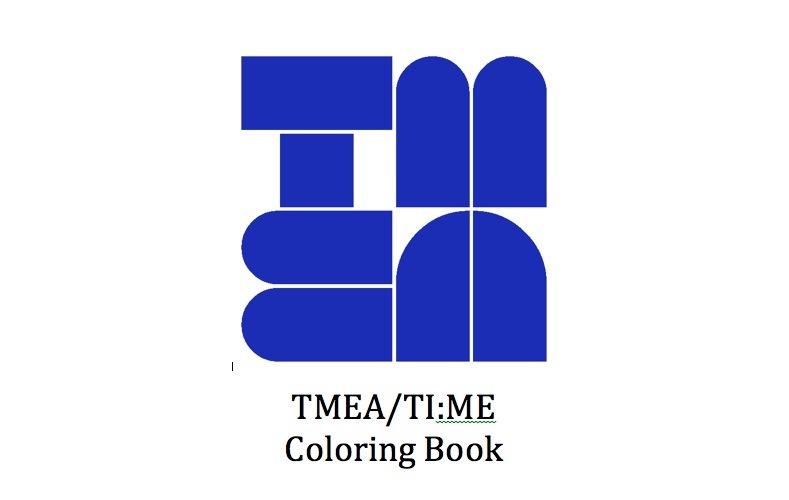 It includes everything from the TMEA and TI:ME logos to a color your own bow tie to honor our TI:ME Teacher of the Year and bow tie fashion guru Richard McCready. Feel free to print it out and color in its amazingness. Downloading to the iPad is also an option although I’m not quite sure how you would color it unless using the highlighters on the iBooks app. If you find an app to do so please post your findings in the comments section! *Special Request: If you do use this coloring book I would appreciate photographic evidence! !